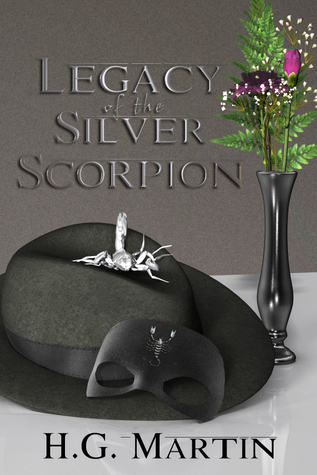 On a soggy November night in 1940, New York City’s protector and top gang buster, a trench coated, masked vigilante known as the Silver Scorpion, is about to be murdered by a turncoat cop. Suddenly a pretty blonde appears in an expanding ball of light and shoots him point blank with what looks like a shiny metal bazooka. The Scorpion disappears. One hundred and forty years later, a clandestine organization known as the Lazarus Project prepares to risk incarceration, ruin, and death in order to reverse the effects of almost a century and a half of decadence and corruption. America’s once great city is now its biggest cesspool. It’s a daunting task. The good people of the city have all given up or moved out. The evil rule ruthlessly. The city needs a hero. The city needs hope. It needs the Silver Scorpion. It’s about to get him, ready or not. What can I say about this book that I didn't say about Mr. Martin's other two books? Yet again, he's written a superhero story that captured my attention from page one and didn't let go until the story was told. This book did feel as if it had a darker tone and unlike his other books, this one really wrapped up the entire story in one package and when I closed the cover, I wasn't left wondering what happened next. I knew. The author wrapped it all up in a bow and I really felt as if this book was a gift for my shelf. Sadly, this is the last book that he wrote, but I'm keeping my fingers crossed that he finds his muse and writes more soon!